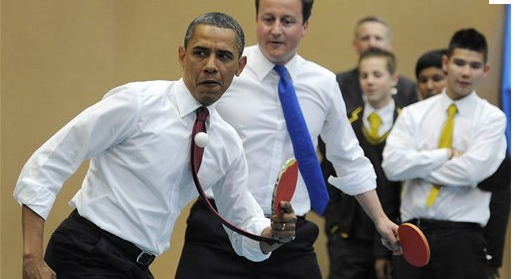 Jamila Uddin screamed “I played ping pong with Barack Obama! I can’t believe it!”. Ayo Osisami yelled back “He winked at me!”. His visit to the Globe Academy in South London, with David Cameron really went down well. Apart from an hour out of the school day, what did his visit bring to the kids at Globe Academy? As a kid from, shall we say, a ‘more challenging’ inner-city comprehensive school, I believe that meeting people that have done something and achieved in their lives is really important. Getting a new perspective, seeing that they are really no different from you, helps raise aspirations and set a new outlook on life. Did it really have that big an impact on these kids, well it’s over to Tanvir Khan who said “It was the highlight of my life”. Those wanting Barak to visit their school, should form an orderly queue. Just a quick blog post to let everyone know that Tutorhub was covered today by the Good Web Guide – the definitive guide to the best websites on the internet. I am pleased with the article. If you would like to read it, just click on this link. Since entering the world of education, I have been following a small number of education journalists, who I rate. Mike Baker is one of these – a TV and radio broadcaster and journalist, who has previously the BBC Education Correspondent. I was shocked to read that he has been diagnosed with lung cancer today. I guess that it resonates with me, as it was this form of cancer that took my father’s life. The most natural thing for Mike to start doing is to write a blog about it. I would recommend that you read it. Sounds like a good outlook for life. What else would I do, if it were me? I loved the film the Bucket List starring that old dog Jack Nicholson, and as an avid list-maker I could foresee a new list of people and places to see, and new experiences. The problem is, of course, that you might not be strong enough to do it. Finally, I hope that the Doctors can work their magic, and wish the very best for Mike and his family.